Floral Pin-Up High Waisted Shorts. 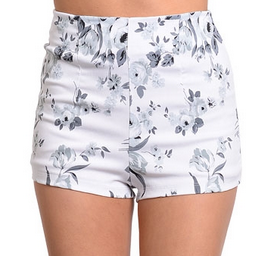 This short fitted high-waisted shorts features an exposed zip back design with floral print. 74% Rayon/ 22% Nylon/ 4% Spandex. Comes in size: Small; Medium; Large.